Hey, guess what? Boring Powerpoints are just as dull when shown in a 3D View-Master as they are when displayed on a laptop. Bonus points for getting my attention due to the creative delivery method, but 1o seconds after flipping through the slides, I forgot what the pitch was for. Lesson: If you’re going to ship a presentation in a clever package, the message should fit the medium. 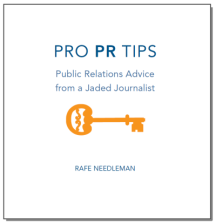 See also: Tip #18: Comical PR. If you’re going to hand out USB sticks with press materials and beta software on them, make sure they’re not blank. It would be good if your product ships before the T-Shirt you gave me wears out. 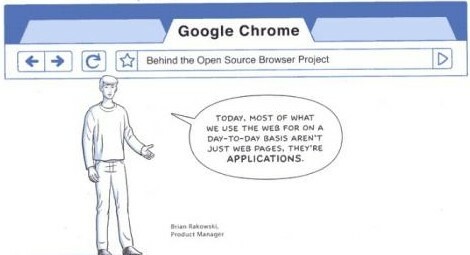 Launch a product with a comic book? Sure, why not? Probably one of those tricks that only works once, though. 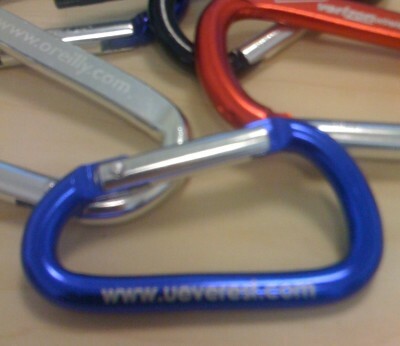 I have enough branded carabiners, thank you very much.